Things are looking bright on upper State Street. 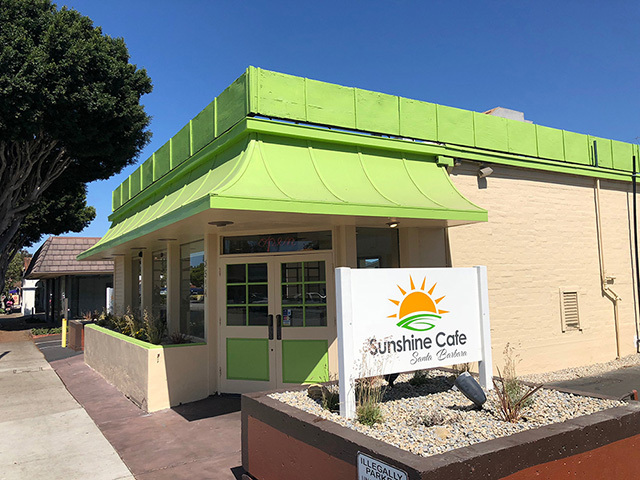 Sunshine Café has opened at 3514 State Street, the former home of Max’s Restaurant & Cucina which closed in March after 33 years in business. “70% of the menu comes from Max’s and the regulars are coming back,” says owner Ramiro Plascencia. “We’ve had great feedback and great comments about the menu and food. We are serving generous portions and offer both breakfast and lunch all day. We are focusing on the three basics: quality, customer service, and consistency.” Sunshine Café is open daily from 7:30 a.m.-2:30 p.m. The restaurant offers dinner for groups of 20 or more on a reservation basis and will start offering catering in a few weeks. Bring back the Brie and Omelet! Josh on TWO NEW MESA BURGERS?